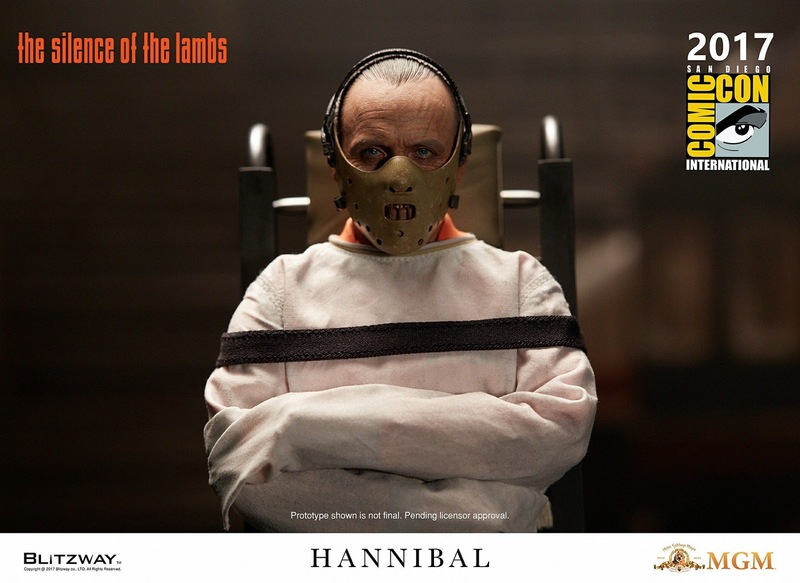 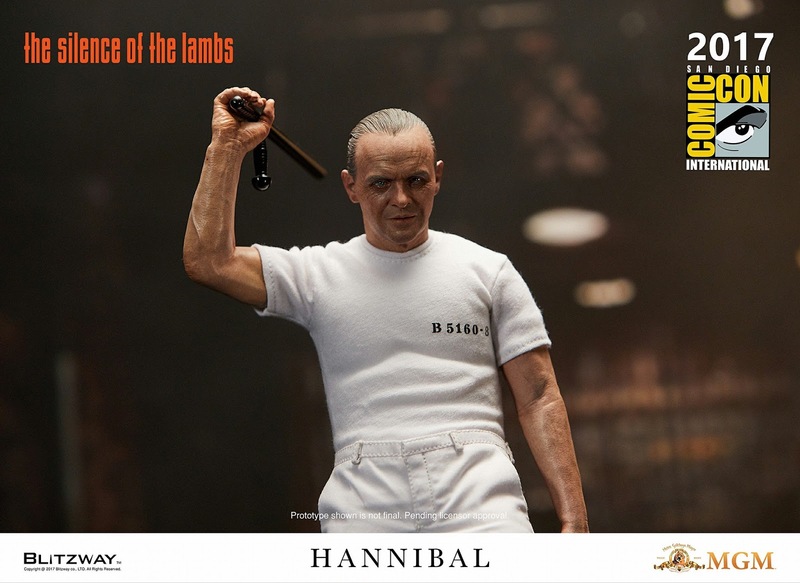 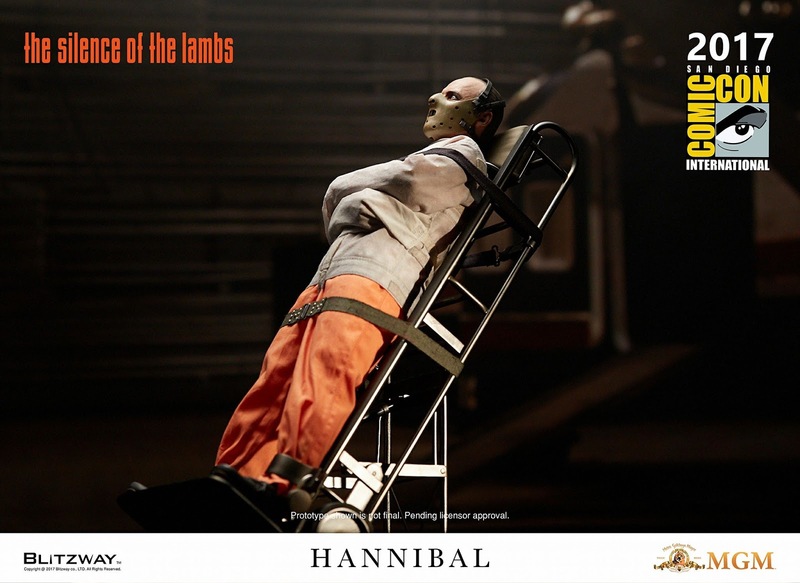 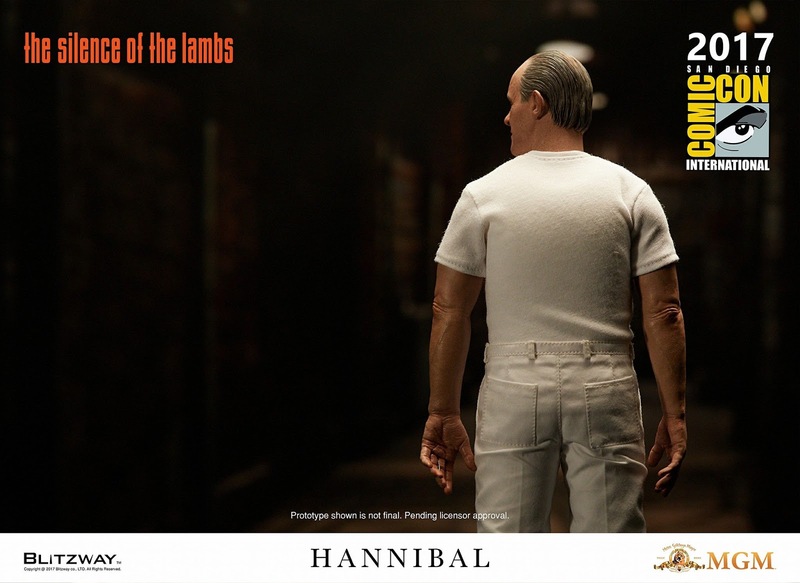 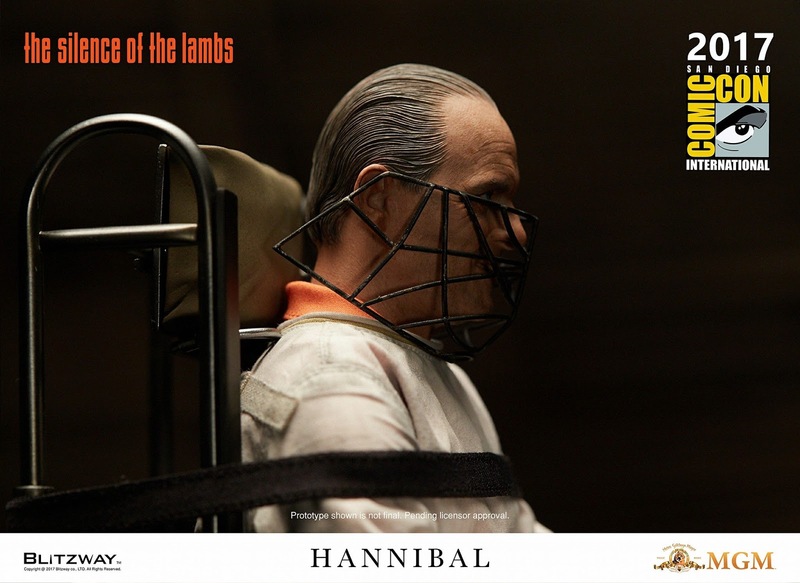 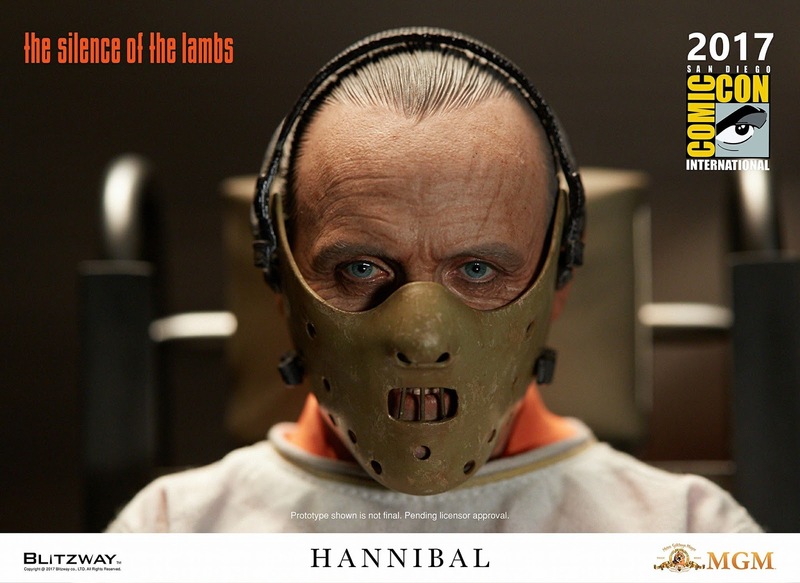 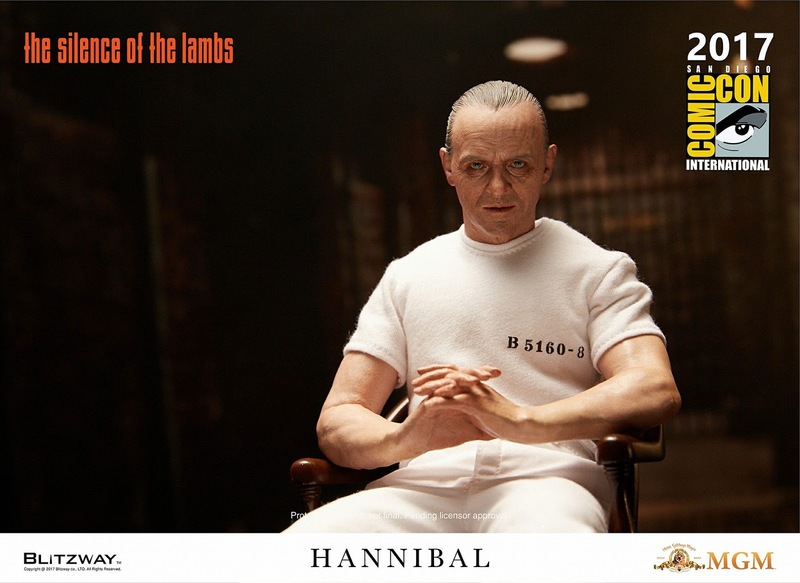 These are some new official images of Blitzway's 1/6th scale Hannibal Lecter figure. 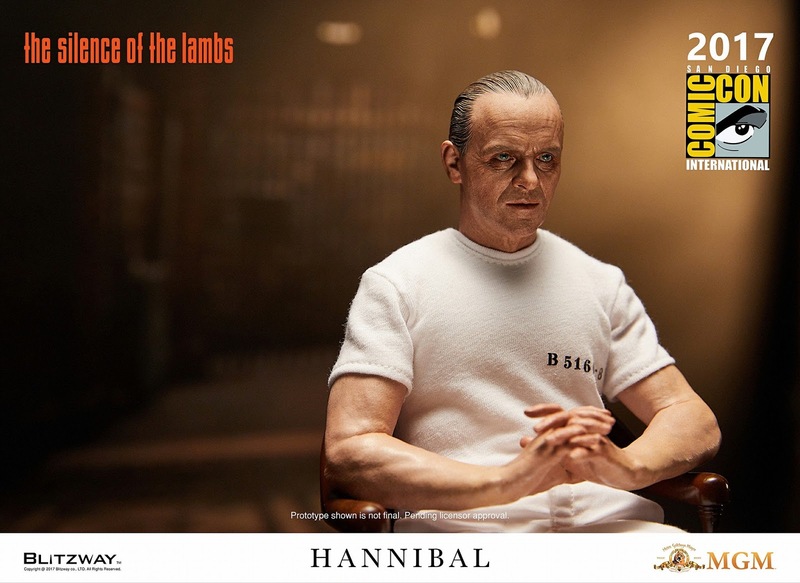 Three figures were revealed at SDCC, but there is still no official information has been released about the figure pricing or release date. 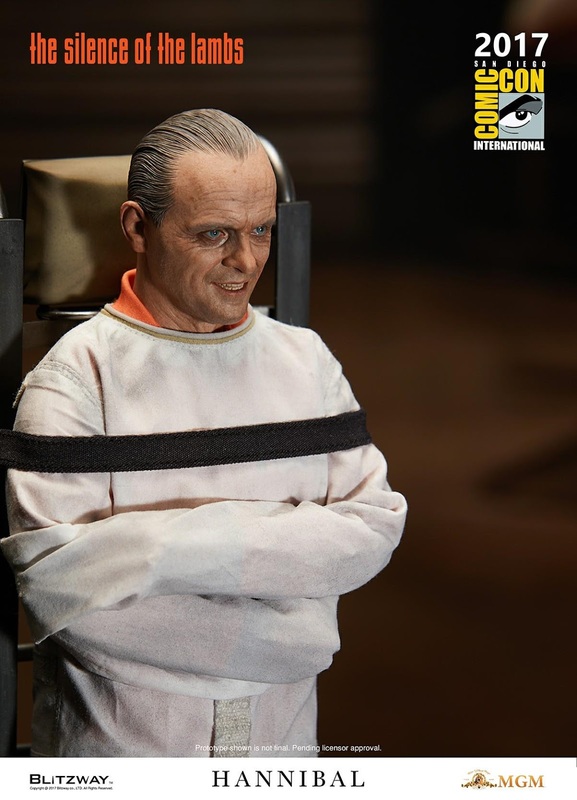 The Comic-Con display featured three figures with two outfits and head sculpts from his appearance in The Silence of the Lambs. 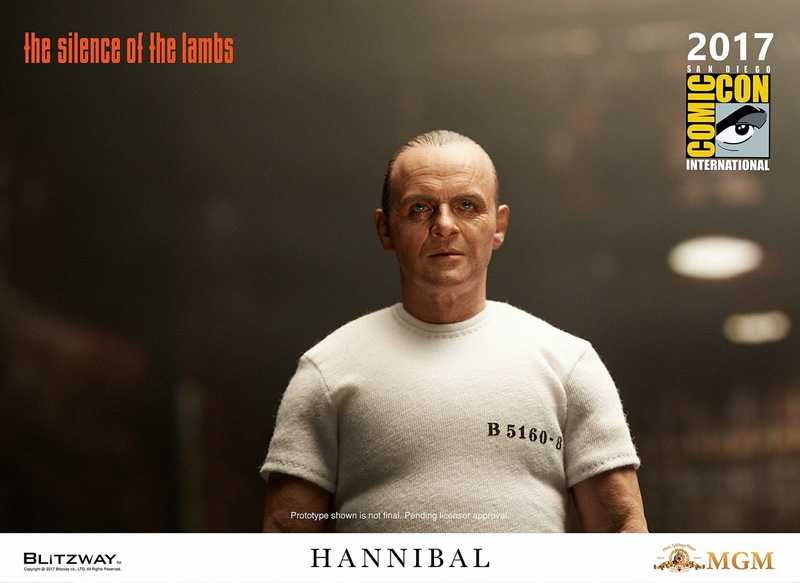 It is most likely that they will offer a special 2-pack and individual versions of each costumed figure. 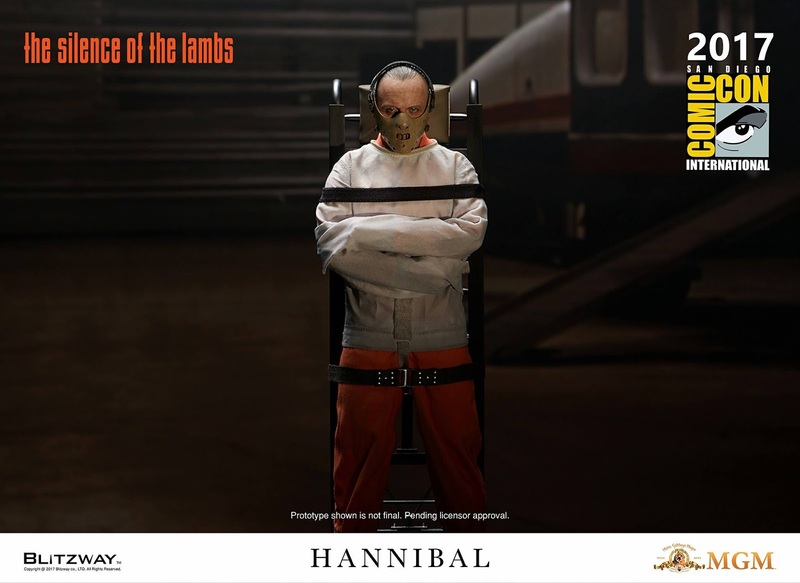 That is what they have done with several other similar figures. 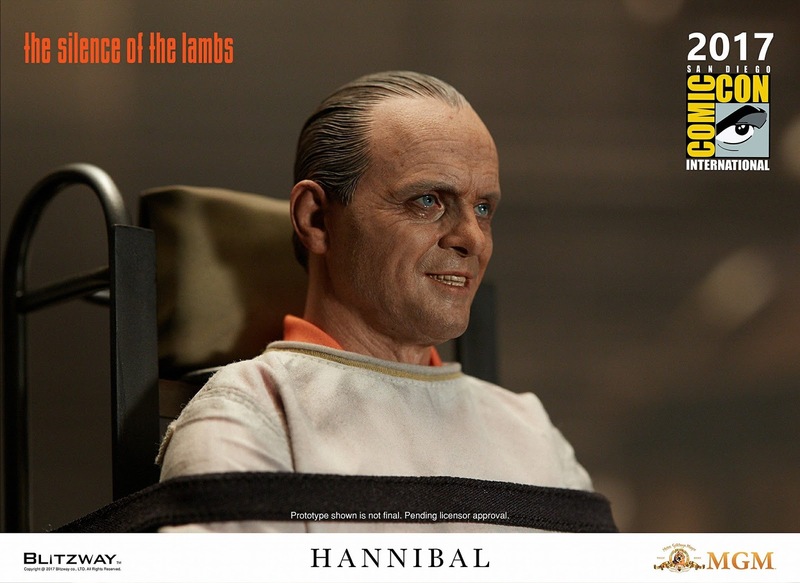 They typically cost around $250 individually and $500 as a set. 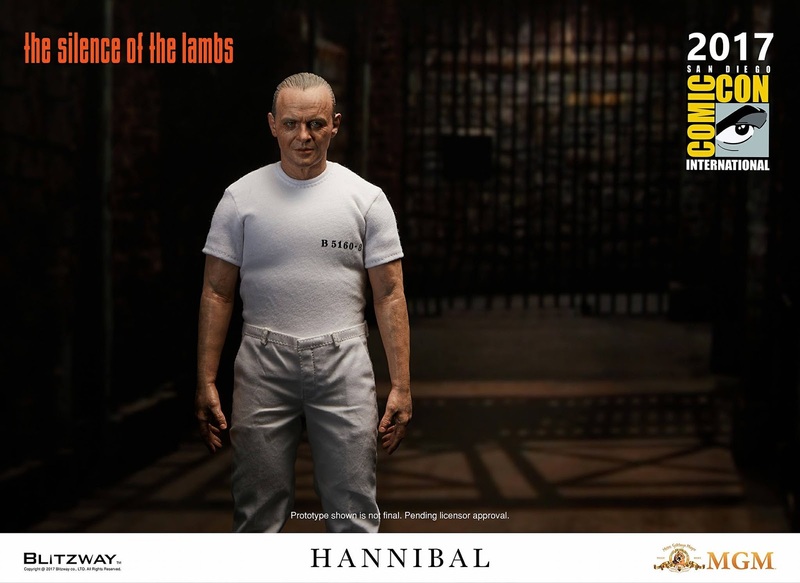 Check out the rest of the images below.